Last Friday released musical drama Rock On 2 has completed one week journey on a dull note. Due to demonetization decision by Prime Minister and the presence of previous releases Shivaay & Ae Dil Hai Mushkil, has ruined its entire 7 days run. Also the mixed reviews from critics as well as moviegoers, have resulted in negative and melted down all its initial hype in early days only. Being the sequel of 2008’s hit movie Rock On, the latest one was expected to receive decent response after the release. But audience didn’t find it much entertaining as compare to the previous installment. With its such poor performance, the movie has listed among the top disasters of 2016 in Bollywood. 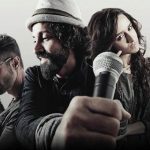 In the opening weekend, Rock On 2 recorded very low occupancy through out and did the below average business of 7.01 crores with 2.02 crores of Friday, 2.41 crores of Saturday and 2.58 crores of Sunday. Not only from Indian screens but in international market too, Shujaat Saudagar’s directorial has not witnessed even average. In weekdays asusual it received more lesser audience in theaters. On Monday, it witnessed abrupt fall and registered the business of 0.97 crore. On the next day i.e. Tuesday, the movie faced more drop in its business and minted the amount of 0.82 crore. 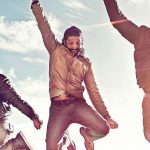 Then on Wednesday with more drop, Rock On 2 raked the business of 0.70 crore. On the last day of week i.e. 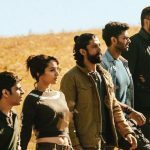 Thursday, it declined further and added the amount of 0.51 crore to its account; made its opening week total collection as 10.01 crores on domestic box office. As per the report, it doesn’t seem to survive in next week as two more Hindi movies Force 2 & Tum Bin 2 are being released from this Friday.